On Wednesday September 25th, the Office of the Chief Information Officer (OCIO) for the Government of New Brunswick (GNB) held an Enterprise Architecture (EA) Symposium for the vendor community at the Delta Fredericton. This event drew well over a hundred plus attendees from the vendor community across the province, the Atlantic area and parts of Canada. During this event, Christian Couturier, GNB CIO, announced an EA roadmap across the domains of Information, Application, Technology and Security; areas of mandate for the OCIO. He presented a vision for transformation at GNB that would make its departments more efficient and effective by standardizing their practice and services around TOGAF® and capability-based thinking. Christian also shed valuable insights into how the vendor community can engage with GNB and support the OCIO for their EA vision and roadmap. TOGAF® and capability-based thinking were prominent themes throughout the symposium and were alluded to and shown throughout the presentation by Christian and his extended EA team. The OCIO has also created a strong governance structure that positions itself as an influential stakeholder in provisioning solutions across its domains. In the near term, vendors will need to show how their solutions not only meet functional requirements but demonstrate improvement in capability performance explicitly. This will help GNB to improve the definition and management of contracts with third party vendors. Each Architecture Domain Chief presented the roadmap for their area in breakout sessions and answered questions from vendors. These sessions offered further insight into the EA roadmap and impact on particular areas within GNB such as current efforts being made in Service Oriented Architecture. QRS has been working with the OCIO and GNB departments since March 2013 to enhance their TOGAF and capability-based thinking competencies. QRS will continue to work with the OCIO and GNB and look forward to their successes as both a corporate citizen and individual residents that benefit from its services. Christian Couturier is Chief Information Officer of the Government of New Brunswick (GNB) which leads, enables and oversees the Information Management and Information Communication Technology (IM&ICT) investments for the enterprise. Christian’s leadership has been recognized by several awards including Canada’s “Top 40 Under 40.” His research team’s success continues to be celebrated through many international, national and local awards including the 2007 Canadian Information Productivity Awards (CIPA) Gold Award of Excellence for innovation in the Health Care Sector. 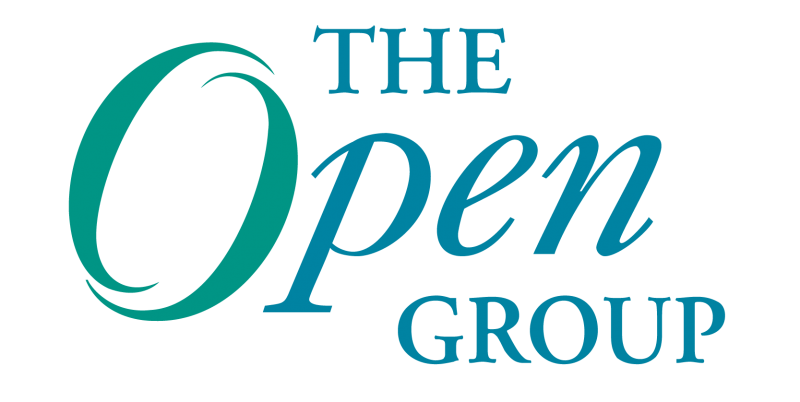 Thank you Tom and The Open Group – we are appreciative that you are taking notice. TOGAF reference material has been key for our small Enterprise Architecture team. We have now published the Government of New Brunswick Enterprise Architecture Program Manual – Leading the journey to excellence (ISBN: 978-1-4605-0311-9 (English) and 978-1-4605-0312-6 (Français)) and are happy to share with other colleagues hoping we can obtain constructive criticism.